BigFish Games are the best when it comes to quality Point-n-click puzzle games, and this time they bring us their latest creation called "MT Nightsville Horror (Full)". 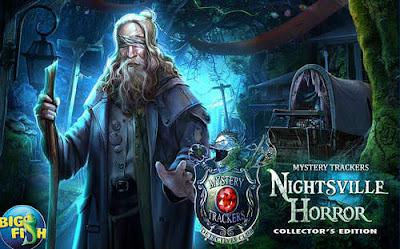 The MT stands for Mystery Trackers, and it's yet another mystery horror puzzler. The story centers around a legendary being called The Owlman that's been terrorizing the residents of Willowsville. You play as an agent of the Mystery Trackers who police the supernatural, and must use your detective skills to investigate the matter. The storyline in Nightsville Horror is both intriguing and filled with suspenseful action. Tip: You can collect evidence to help guide you in the right direction, but if you've already played this type of game before, then you must have the skills to solve any mystery thrown at you! Fore more features and screenshots visit the Google Play link above! Install the apk, extract Data to SDCard/Android/obb/, and play!